UK release of the first 2 albums. Whilst labels for each disc have a separate catalogue number, the gatefold sleeve has the catalogue number "6641 077". This repress comes with Spaceship design labels. Kraftwerk, the original autumn 1972 release, came with classic Vertigo spiral design labels. 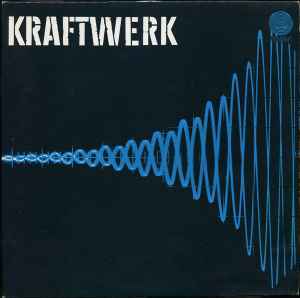 A similar 'Spaceship Label' edition is submitted as Kraftwerk. My version has different matrix/runout numbers to all of the verions listed. Does this count as a different release?